Recently, I found this memento of a very happy time in my life. Several months after Peter and I began living together, we took a trip to Paris (I actually won this trip, but that's another story). While we were there, we got some photos taken so that we could get a transit pass in order to take the subway and buses all over Paris. 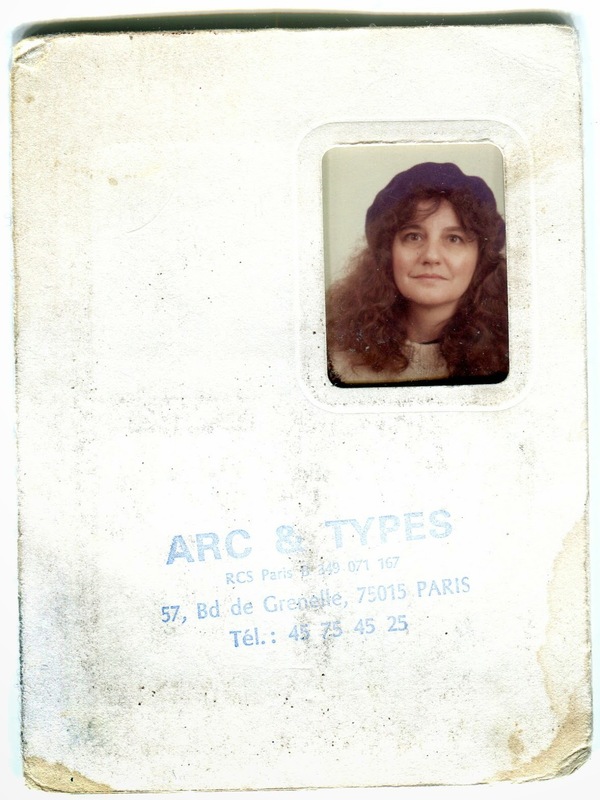 (The transit pass was called a Carte d'Orange - I still remember that). We got our pictures taken at a place called ARC & TYPES (57, Bd de Grenelle, 75015, Paris), and they gave us the photos in this little paper folder with their name printed on the front. I have kept this little folder in a box for many, many years and rediscovered it recently while culling through stuff, doing one of my "do I need to keep this anymore" purges. There it was, with my picture showing through a window in the folder. Opening the little paper folder, I found a real treat - two of my pictures and two of Peter's. 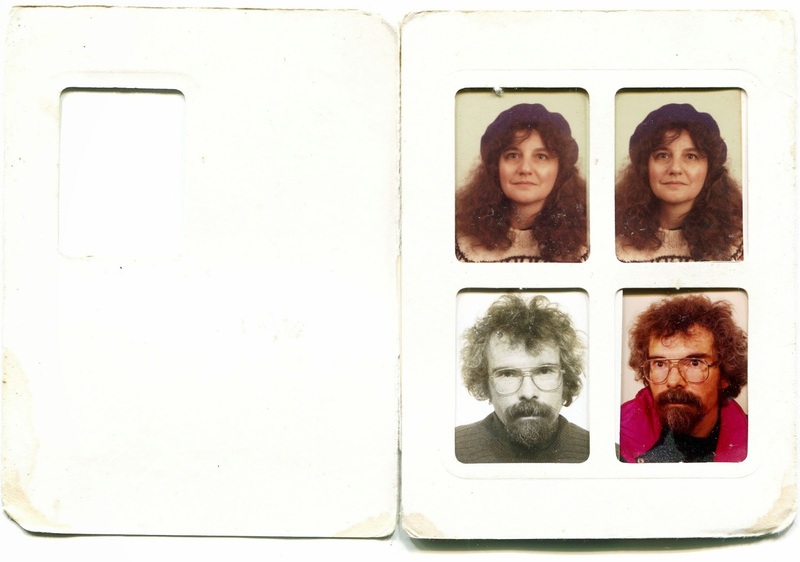 I think the black and white picture of Peter was a Canadian Passport photo. Wow - we were so young. And I love the setup of our four pics in four little boxes. Hi Cousin. What a lovely blog post. It's 23 years ago, though...a little longer than you remembered. I have the same time warp thing happen to me - what's a decade or two at this stage of life? I hope you write about winning the trip.